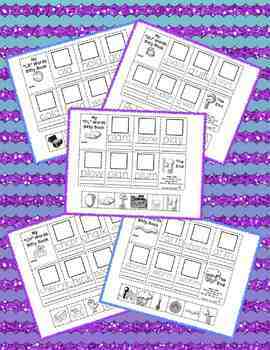 This set contains 32 cut-and-glue mini books that cover the following consonant blends and digraphs: bl, br, ch, ph, sh, th, wh, cl, cr, dr, fl, gr, ld, lk, lt, mp, pl, rd, rm, rn, sk, sn, sp, squ, st, str, sw, kn, ng, nk, qu, and wr. Each book is only one page to copy! 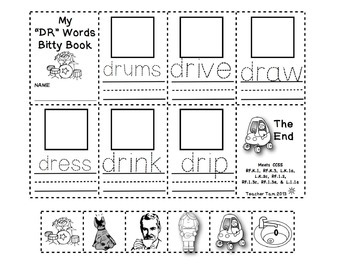 The student cuts out the pictures at the bottom of the page and matches each picture to the correct word in the book. Then, the student traces and writes each word and cuts the pages out to make each bitty book. 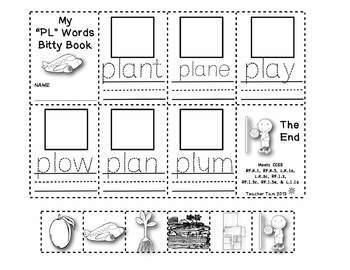 These bitty books pack a lot of literacy practice into a tiny package! 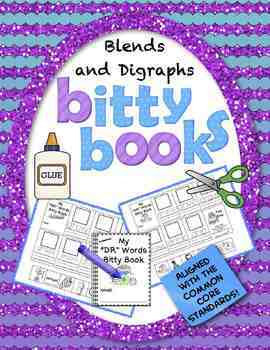 Save $3 when you purchase the BUNDLE with all 3 sets of Bitty Books (CVC words, blends/digraphs, and long vowels). That's like getting one set for FREE! CLICK HERE TO TAKE A LOOK! !